A Maryland couple stopped by police after a shopping trip in Anne Arundel County has filed a federal lawsuit against Costco alleging racial discrimination. Police stopped an African-American couple after a routine shopping trip at Costco in Anne Arundel County in May. Was it just a mistake? Or was it racial profiling? By their own description, Barbara Wallace and Bahri Wallace were among the most loyal customers Costco could have. They said they shopped at the Arundel Mills Costco two to three times per week -- they even bought their car there. "We were looking for a refrigerator," Barbara Wallace said. In late May, a store visit took an unexpected turn when, shortly after leaving the parking lot, an Anne Arundel County police officer pulled the couple over. "When I made a left on Arundel Mills Boulevard, his lights came on. I looked at Barbara, and I said, 'Did I run the light?' Her response was, 'Is he for us?' I said, 'He's stopping me,'" Bahri Wallace said. Barbara Wallace's first reaction was to tell her husband to keep his hands visible. "At that point, I was afraid. Let's just say, even if it wasn't this situation, when you get pulled over by the police and you are African-American, there is a lot to think about and you have to be careful how you conduct yourself. I was afraid for my husband at that point," Barbara Wallace said. An officer informed the Wallaces of the reason for the stop. "I said, 'What did I do?' He said, 'A manager at Costco said you guys were shoplifting.' I said, 'Shoplifting?' At that point, I asked him did he want to search my truck? I said, 'We didn't shoplift anything,'" Bahri Wallace said. The Wallaces were stunned, even more so when they learned the initial call that put police on their trail was for a robbery in progress. 911 call dispatcher: "Anne Arundel County 911. Do you need police, fire or ambulance?" Caller: "I need police immediately to Costco Wholesale. I have a robbery in progress." Dispatcher: "OK, hang on one sec. Are they still in the store?" Dispatcher: "You at Arundel Mills?" Dispatcher: "What do they look like?" Caller: "Uh, four black, a female and males." Police records show officers were provided a tag number that belonged to the Wallaces' truck. The records also show police determined no crime had been committed and the Wallaces weren't involved in anything. "A senior officer, he was the one who had the stripes, he get (sic) out and I hear him tell the other people, these are not the people," Bahri Wallace said. The Wallaces were not charged with any violation. Upset that they'd been targeted, they returned to the store to ask why they had been singled out. They said they spoke with a white manager. "(The) manager came up. I said, 'Did you call the police on us saying we were shoplifting?' His response was, 'You fit the bill.' I said, 'Fit the bill?' And he said, 'African-American male and female, and your wife is carrying a blue purse,'" Bahri Wallace said. "I said, 'What do you mean, African-American, blue purse? What do you mean?' He said, 'Well, you fit the bill. We have been having some problems with ink cartridges, and you fit the bill,'" Barbara Wallace said. Costco executives told the 11 News I-Team the store manager thought the Wallaces matched the description of people involved in an ink theft ring, particularly, because of Barbara Wallace's blue purse. They said it was not racial profiling. Costco further said, "Law enforcement, not Costco, made the decision to execute the stop ... Its staff communicated to a patrol officer that it had not found reason to detain the Wallaces." In response, a representative for Anne Arundel County police said, "The statement Costco made is not only misleading, it is simply wrong. As can be heard in the radio transmissions at the time of the stop, Costco was still attempting to determine if a crime was actually committed. It was in no way relayed that a stop should not have been made." "There's more here than a simple mistake," said Chris Griffiths, an attorney for the Wallaces. "Employees can come to the job with certain biases. Corporations, particularly of this size, are responsible for training individuals. If they are a responsible company, they train individuals to deal with those types of bias. Whether or not Costco has such a program, we don't know, but it's something we intend to find out." 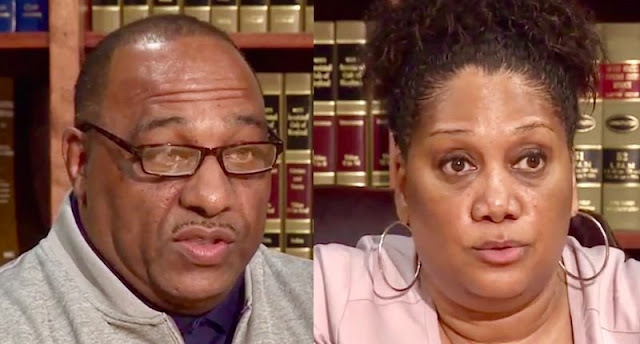 The Wallaces had worried that being stopped and detained by police after the call from Costco could have threatened them professionally, as each is a federal employee with security clearances. The Wallaces' lawsuit seeks $4 million in damages. Costco said in its statement that it tried to mediate with the Wallaces after the incident, but that was unsuccessful.